Bringing yet another long-standing rumor to fruition, Andrews Distributing today announced it has entered into a partnership to deliver the products of New Holland Brewing to North Texas. 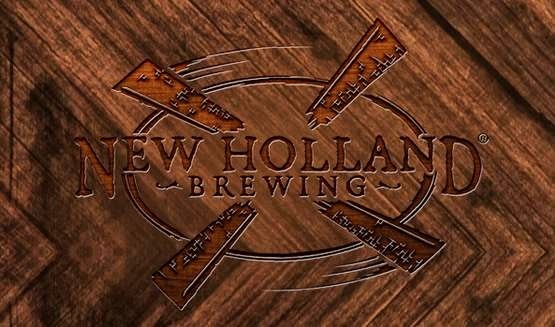 Based in Holland, Michigan, New Holland Brewing was founded in 1997 by Brett VanderKamp. Joined by partners Dave White and Fred Bueltmann, they and the rest of the New Holland team work to produce "beers and spirits that are works of art" that they hope will "inspire consumers in their own lives." Regarding their entry into the Lone Star State, Adam Lambert, vice president of sales for New Holland, said the brewery looks forward to expanding to the large craft beer market Texas has to offer. As for their decision to sign on with Andrews, he goes on to say, "Andrews is a great cultural fit with New Holland, and we know their team will execute this next step in our growth strategy with great care and attention to detail. We look forward to sharing New Holland's 'Stop and Taste' way of life with Texas beer lovers." Mike Machul, Andrews brand manager for the brewery, echoed similar sentiments in expressing his company's eagerness to expand their craft portfolio with this well-known brand. "We are very excited to bring the good people of North Texas the world class brands New Holland produces. We anticipate a great response and look forward to years of success together." Andrews will launch the New Holland portfolio in North Texas on May 4, 2015. Initial shipments are expected to include the following beers from the brewery's year-round lineup: Dragon's Milk (barrel-aged stout), Mad Hatter IPA, Monkey King Saison and Full Circle (kölsch-style beer). Seasonal beers will be made available as well, starting with White Hatter, a Belgian-style white pale ale. Brewery representatives will be in the Metroplex during the week of launch to attend events and help introduce the brand to local consumers. A full list of events will be posted online at newhollandbrew.com/events. Until then, you can learn more about New Holland by visiting their website at www.newhollandbrew.com.